Washington DC. The District. The seat of American government. A political hotbed… and the cherry blossom season is divine! Washington DC bus rentals are an easy way to transport your student organization, sports team, or corporate group. Rent a DC school bus for a college tour of Howard or Georgetown. Book a coach bus for a team-building retreat in the Blue Ridge Mountains. Hire a bus to tour all the important DC monuments. Wherever you’re going, there’s a Washington DC charter bus rental that’ll make your transportation easy, comfortable, and budget-friendly. What determines the price of a Washington DC charter bus rental? Charter bus rental prices in Washington DC depend on several factors, which include (but are not limited to) the availability of buses in Washington DC, total distance traveled, your trip date, driver’s time on duty, and the time of the year during your request. The relationships we built with our bus partners also allow us to obtain competitive prices. Where do you get your Washington DC buses from? We work with a large network of trusted bus partners across North America. We carefully vet local bus companies to make sure you receive exceptional charter bus service in Washington DC and the best bus rates on the market. How do I rent a bus in Washington DC with a driver? Our team will make sure you have everything you need, and that includes a bus driver with each charter bus rental in Washington DC. The charter bus quotes that you receive factor in driver’s gratuity and hotel accommodations based on current industry standard. What kind of bus rentals can I book in Washington DC? 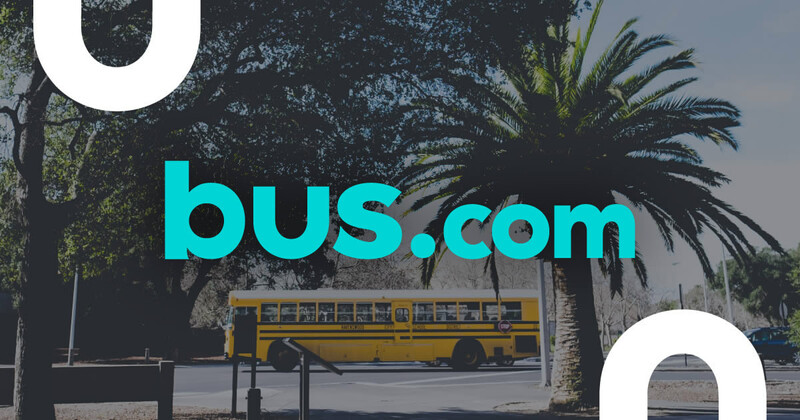 You can book a coach bus rental, school bus rental, mini coach bus rental, or minibus rental in Washington DC—whichever option suits your trip's length and amenities requirements. How soon do I have to book my charter bus rental in Washington DC? Charter bus prices tend to increase the closer you are to your trip date. We recommend booking your bus earlier rather than later in order to secure best prices. However, this doesn’t mean that you are tied down. With our Book Now, Pay Later policy, you can make a bus reservation, but only pay for it 21 days before your trip runs. Getting to Washington from nearby cities. We run many bus trips to Washington from cities near and far! Here are some starting hourly rates for coach bus rentals and school bus rentals for each trip. For a more accurate pricing for your bus rental in Washington, you can charter a bus through our instant quoting tool. Accessing Bus.com’s network of Washington DC bus companies is easy with our online booking tool. It provides quotes in less than two minutes, and matches you with the bus operator who will best serve your needs. Whether you’re looking for a school bus, coach bus, or minibus rental, we’ll provide the best bus for your corporate outings. Your employees work hard. Bus.com will work just as hard to ensure that your employees travel in comfort. 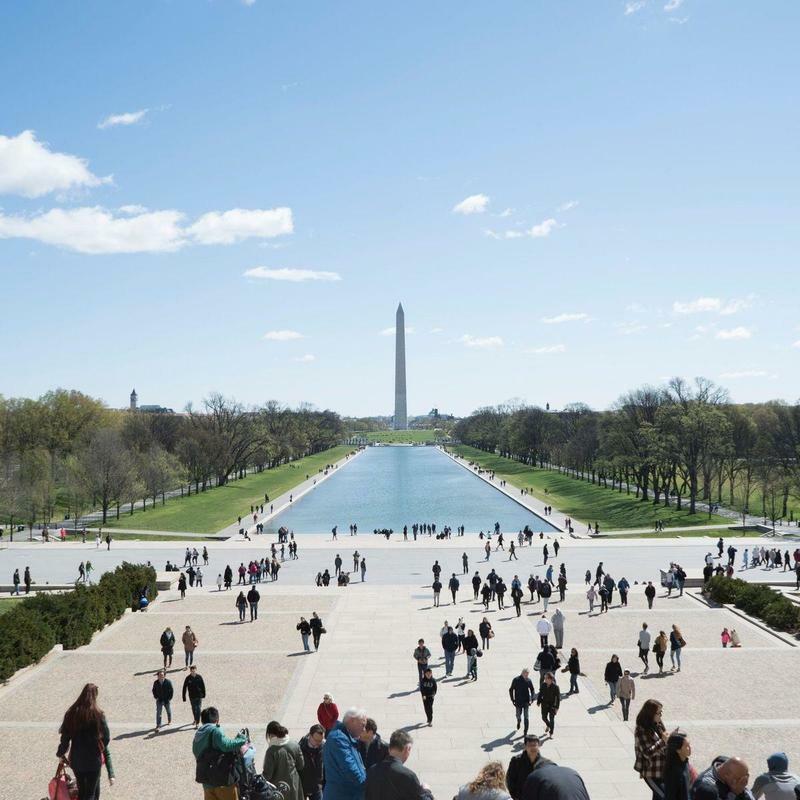 We’ll help you find a Washington DC bus rental to transport your colleagues to corporate retreats, conferences, trade shows, and anywhere else your company will take them. Rent a school bus to take your employees out of their comfort zone and onto a challenging team outing. Washington DC has so many interactive activities to choose from, like the corporate scavenger hunts at Watson Adventures or the volunteer farm work at Common Good City Farm. Inside or outside, relaxing or physical, however you choose to challenge your colleagues, we’ll make sure they get there on time. Off-site meetings are a great way to boost productivity. Keep the efficiency going throughout the entire trip by renting a coach bus. Wifi and audio-visual equipment are available on coach bus rentals, so you can stay connected to headquarters even when you’re on the road. Get to the National Union Building or the Andrew W. Mellon Auditorium by bus, and avoid finding parking for every employee and their car. Conferences and tradeshows are all about being seen and building relationships. Your employees need to be fresh and ready to network as soon as they arrive. Rent a coach bus for a restful bus experience. The seats are more comfortable, the A/C is key, and audio-visual equipment is available to keep the troops entertained. You’ve spent money to fly your employees to Washington DC. Don’t leave them at Reagan National or Dulles International to find their own way. Have a charter bus meet them at the airport and take them to the hotel, avoiding the multiple cabs. You’ll want to rent a coach bus or mini coach bus because they have more space for your colleagues’ luggage. 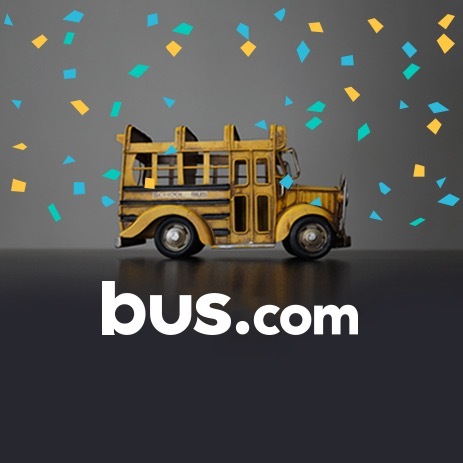 Use Bus.com’s easy online booking tool to organize a season’s worth of transportation for your Washington DC sports team. Depending on the size of your team, the amount of equipment your athletes carry, and the distance you will travel, we’ll match you with the perfect bus. We know bus rentals and can help you make an informed choice. AM practices and away games make for a grueling commute for your players. Make that commute a little easier by handling their transportation. Bus.com is fluent in bus logistics. Our booking specialists will assess your needs, provide quotes, and help you with your itinerary. We do this to streamline the charter bus rental process, giving coaches extra time to focus on their athletes. Whether you’re staying in the Washington DC area or crossing a couple state lines, we’ll help you transport your team. If you’re traveling less than two hours, a school bus rental will provide enough comfort. But, be warned. The school bus doesn’t have as much luggage space for equipment as the coach bus. Get more space and more comfort for longer trips with a coach bus rental. Waking up for morning practice is hard enough. Make your athletes commute to the field a little easier by picking them up at their door. Our booking specialists can help plan a school bus route with multiple stops. You could also choose a few centralized pick-up points like park and rides or mall parking lots where your players can meet. Coming to Washington DC for a big game or tournament? Have a coach bus rental pick up your team from Reagan National or Dulles International. Bring everyone together in one vehicle and avoid multiple cabs taking multiple routes to the hotel. If you have to transfer hotels for any reason, Bus.com can help with that too. Treat your athletes to some team inspiration with a trip to Nationals Park or Capital One Arena. Rent a Washington DC school bus to take the fun on the road. Parking one vehicle is a lot easier than parking 30 to 50. Just make sure you check the stadium’s parking guidelines before arriving. Most sports facilities provide comprehensive information about parking online. If you need any help, our booking specialists will provide guidance. Renting a charter bus for your wedding is easier than ever with Bus.com. Our marketplace of Washington DC bus rental companies will provide the bus type and bus operator that can best serve your transportation needs. We’ll connect you with a coach bus, school bus, minibus, or mini coach bus to get your guests to all your wedding events. Choosing flowers and cakes is fun, but wedding planning can quickly become overwhelming when you dive into the logistics. Luckily, we love logistics at Bus.com! Depending on the amenities you would like, the distance you will travel, and the size of your group, we’ll provide you with a the perfect bus rental for your event. These days weddings are so much more than a single event. Even if you do the ceremony and the reception in the same venue, you’ll still have to plan for that off-side wedding photo shoot at the Jefferson Memorial or the Sunday brunch at the Grilled Oyster Company. From big blowout affairs to small intimate ceremonies, Bus.com can organize the transportation that suits your wedding style. If your ceremony and reception are held in different venues or if you want to ensure your guests are safely returned to the hotel, book a charter bus rental to shuttle your guests through the day’s events. Depending on the size of your guest list, select either a school bus or minibus. You can even decorate the vehicle with flowers and streamers to keep the romantic vibe going when your guests are one the road. Keep your groomsmen or bridesmaids together with a Washington DC party bus rental. The wedding party will thank you for taking care of transportation so they can sip champagne on the way from Sax Supper Club in the downtown core to Keswick Hall Golf Club in Charlottesville. Begin your pre-wedding celebrations with a set of events that are all about the bride. Take the blushing beauty to the Ritz-Carlton Spa before meeting her guests at a venue like Malmaison or the Loft at 600 F. A minibus or school bus can transport guests between venues and drop them off at their hotels to rest up before wedding day. Set the tone for the upcoming wedding season with a stylish celebration of the new fiancés. Treat your guests like VIPs and cover their transportation to the venue with a minibus or school bus, depending on the size of the group. They’ll be pleasantly surprised when the school bus turns onto their street and whisks them away.